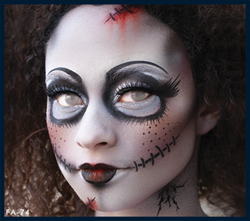 European Body Art's re-useable background stencils can be interconnected providing an unlimited area of coverage. 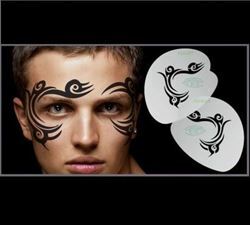 StencilFlex allows stencils to bend across uneven surfaces of the face, allowing for faster application and cleaner artwork. 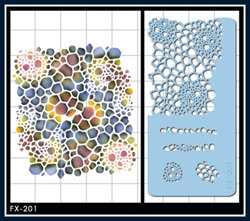 Implementing EBA's patent-pending StencilFlex technology for easy use and fast application. 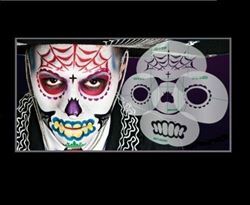 StencilFlex allows stencils to bend across uneven surfaces of the face, allowing for faster application and cleaner artwork. 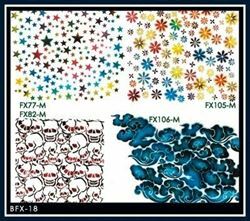 European Body Art's Lingerie Collection Stencil is perfect for airbrush artists at any skill level. 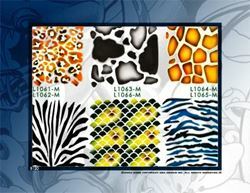 Mix and match different lingerie stencils to add some spice to a seductive lingerie piece. 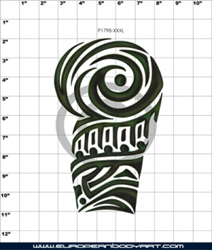 Paul Roustan's Collection BRO-6 stencil group includes three oversized designs, which can be used individually or as a collection to create similar artwork shown on package. 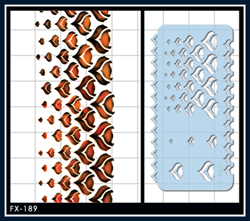 Fish Scale Stencil includes TWO designs in different sizes each with a positive AND negative stencil of each. 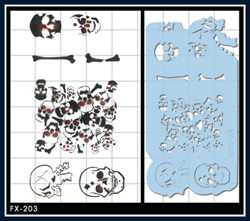 All EBA FX stencils come in a reusable plastic Mylar stencil material. 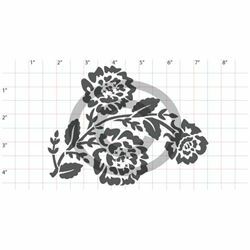 EBA Stencils are offered in standard and custom sizes to fit your project. 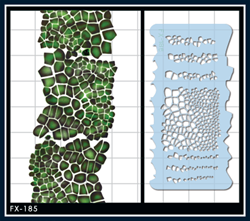 Background and scale stencils assist artist to create realistic backgrounds. The Lace Collection has six different lingerie designs and nine accents in all different sizes, edge shapes, along with individual accents are included. Made out of reusable plastic mylar stencil material. EBA Fashion Collection is suitable for artists in the beauty and entertainment industry providing them a creative way to add a bit of style to their body makeups. 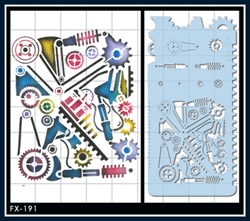 The Zipper Stencils are made out of reusable plastic Mylar stencil material. EBA Fashion Collection is suitable for artist in the beauty and entertainment industry. 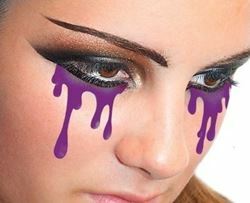 The allows the artist to be creative with their body airbrush makeup. 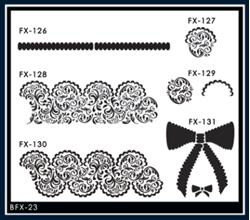 The Ribbon Corset Stencil is made out of reusable plastic Mylar stencil material. 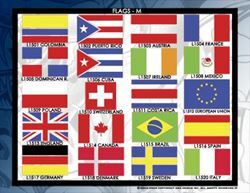 EBA fashion collection is suitable for artists in the beauty, or entertainment industry. 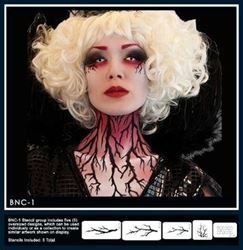 It provides a fun and a different approach to airbrushing stencils. 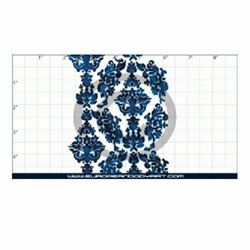 Branches (Nicole Chilelli Collection) Stencil contains 5 oversized designs, which can be used individually or as a collection to create similar artwork shown in the picture. 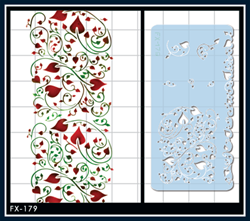 The Cherry Blossom design by Lisa Berczel is a group of stencils containing 2 layers of each part of the design. Fill and outline each layer, can be used separately. 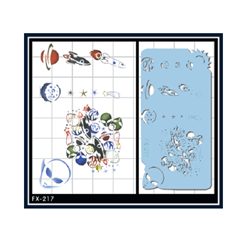 Made out of reusable plastic mylar stencil material. Great to use as background and scale stencils, which assists artist to create realistic backdrops. 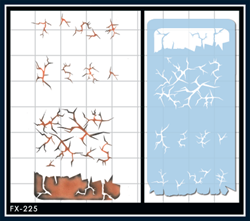 Stencils can be interconnected and overlapped for an unlimited area of coverage. 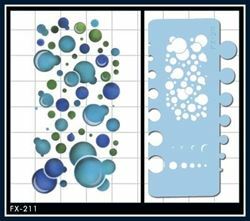 Bubbles Stencils is a reusable plastic Mylar stencil material. Great to use as a background stencil, which assists any artist to create a realistic background or effect. 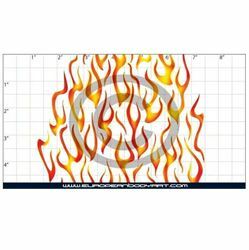 FX Flames Stencils is a reusable plastic Mylar stencil material. Great to use as a background stencil, which assists any artist to create a realistic background or effect. Made out of reusable plastic Mylar stencil material. 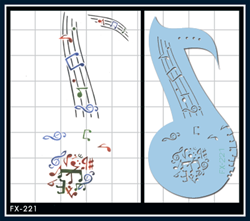 Great to use as background and scale stencils, which assists artist to create realistic backdrops. 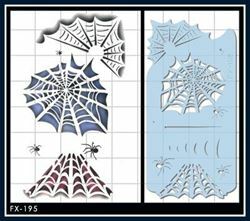 European Body Art's Spider Web is a re-useable background stencils, which can be interconnected providing an unlimited area of coverage. 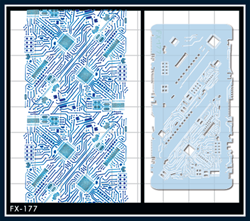 All individual FacilFaces stencils come standard with EBA's reusable plastic Mylar stencil material. 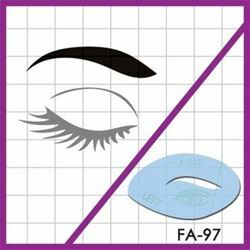 Detailed instructions for proper application are also included with all FacilFaces individual stencil groups. 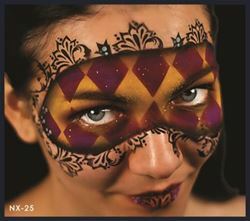 European Body Art's background stencils can be interconnected providing an unlimited area of coverage. Additionally, the stencil borders consist of positive and negative patterns and shapes allowing for maximum flexibility and creativity.